Charles Norris Rd, 4 Mile Rd, and Box Ankle Rd. Some property owned by Roger Short, Edna Jones, J.H. Reed, Bessie Brumfield, Simpson Tribble, Mary Jane Noland, Chas Todd, James Allen, A. L. Robinson, Charlie Keaton, J.W. Deatherage, and George McKinney. 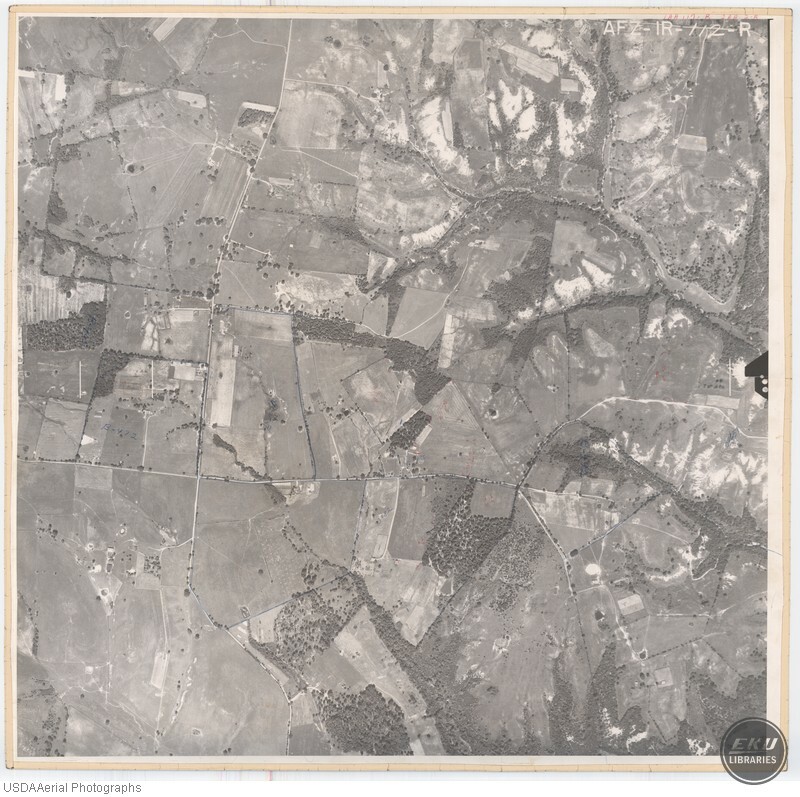 USDA, “Madison County, Close to Lake Reba, Waco, and Union City,” Digital Collections, accessed April 19, 2019, https://digitalcollections.eku.edu/items/show/777.